We are halfway through year 2 of our project and are starting to recruit for the full intervention testing! Researchers at Michigan State University, along with Dr. Michael Wood from the University of Michigan, have developed an app for kids with type-1 diabetes. 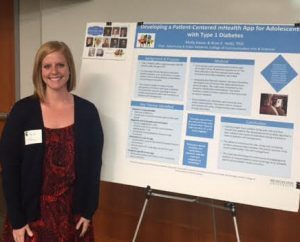 The app is designed to help kids with T1D take on more responsibility for managing their diabetes care and allow their parents to take a step back from care. We held focus groups with kids ages 10-15 with T1D and their parents in order to get their feedback on our ideas and design of the mobile app. 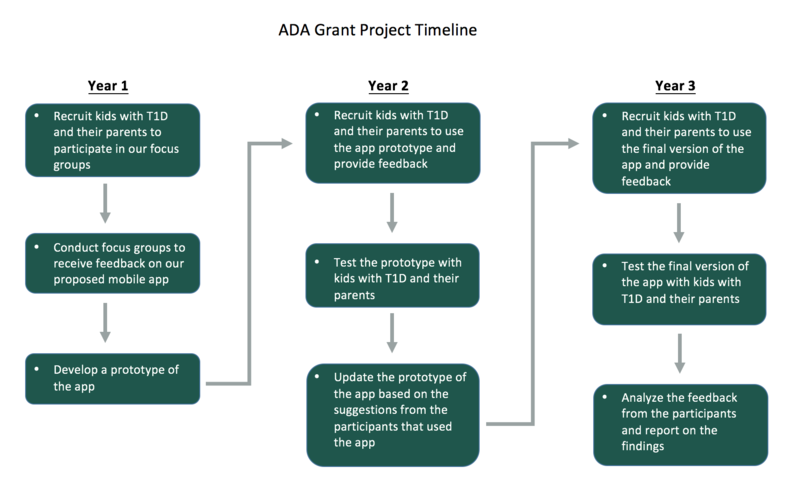 This information helped our professional web development team create an app that kids with T1D and their parents will want to use! We wrote a paper about our results from the focus groups. 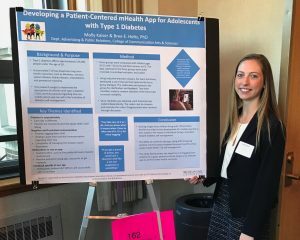 We presented the results from the focus groups at the Partner’s Connected Health Symposium in October! Check out the poster here: partners-poster-2016. We tested the prototype of the mobile app with a small group of children and parents to see what changes need to be made to ensure successful use of the app. We presented the focus group data at a couple small conferences (see pictures below). We have made changes and updates to the app from the prototype testing participant feedback. We are starting to recruit for the full intervention testing! If you are interested in learning more about the criteria to participate, please email Katie (murra172@msu.edu)! Katie Murray presented the findings from our focus groups at the Trifecta Initiative Research Roundup! Molly Kaiser presented the findings from our focus groups at the University Undergraduate Research & Arts Forum.